Good friends are loyal and stick by you no matter what, and that’s especially true when it comes to man’s best friend. Indeed, their loyalty is unsurpassed from being a loyal companion, tireless in the face of hardship to being a patient friend, awaiting his human’s return no matter how long it takes. Meanwhile, a dog from Cebu City wittingly followed his owner instead. 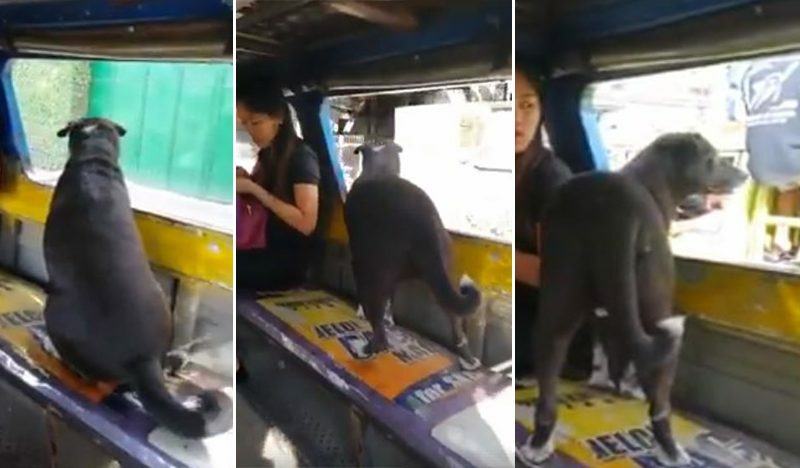 The viral video which makes rounds on the internet up to this very day shows the extraordinary dog rode a jeepney in Cebu City and surprisingly caught up with its owner. 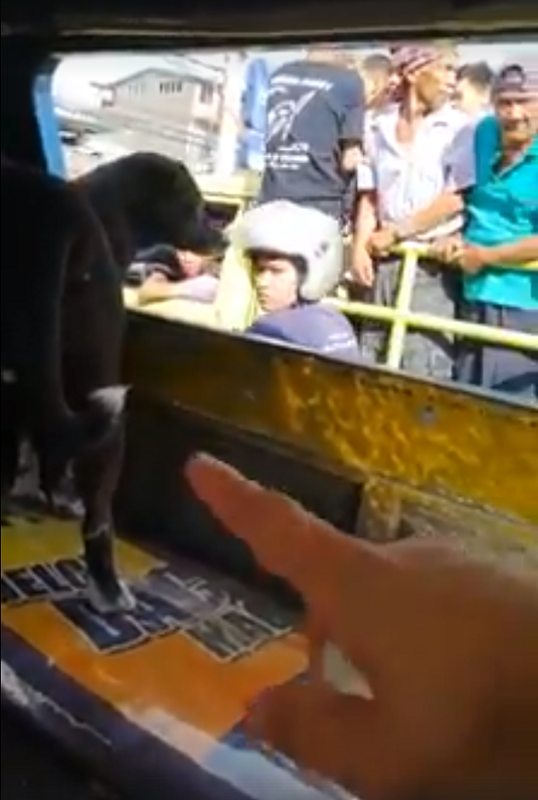 In a post shared by Facebook user Nova Tapuyao, it shows a video clip of a black “Aspin” (Asong Pinoy) dog riding the same jeepney they were inbound to Labangon, Cebu on their way home. 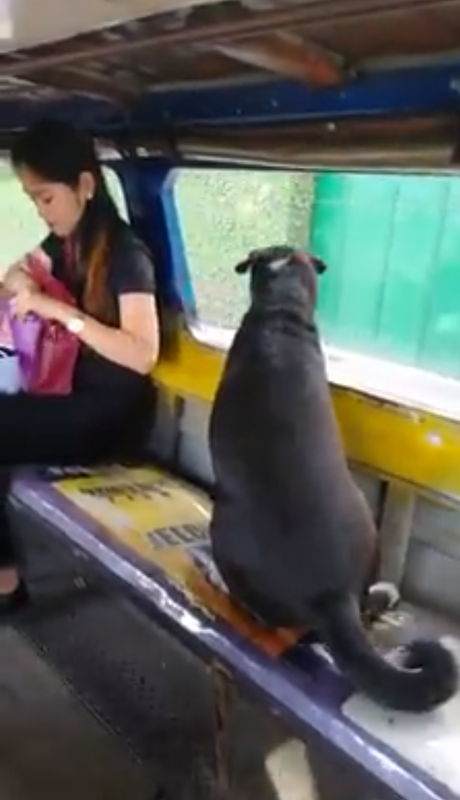 As seen on video, the said dog was anxiously staring at the window as though looking for something. The person behind the camera can be heard uttering words of surprises and excitement along with the other passengers of the jeepney. “My sister on her way home found this cutie riding a jeepney looking anxious, and then this happens,” Nova said. 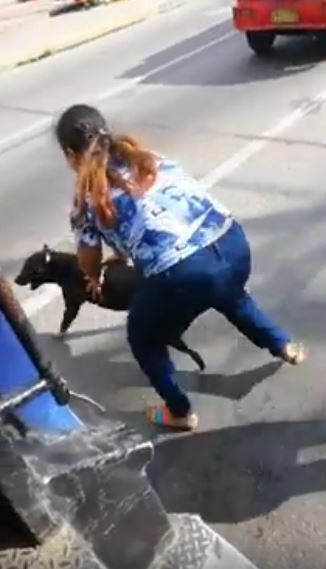 Upon arriving at an intersection along Guadalupe-Banawa, a multicab full of passengers came to a halt next to the jeepney and coincidentally, the owner of the dog was riding the said vehicle. The passengers were surprised and soon burst out laughing as the owner called the dog “Vince” and hurriedly fetched him out of the jeepney. “Ali diri, naboang, dali,” (“Come here, unbelievable. Quickly!”), she said, carrying the smart pooch into the multicab. “Katabi lang pala ng jeep ang sasakyan kung saan ang may-ari so they recognize him at tinawag yung name ng aso na si ‘Vince’,” Nova narrated. The viral post has gained 1.8 million views, over 38 thousand shares, and 35 thousand reactions, with netizens commending how intelligent and loyal the dog is to his owner. Some netizens jokingly commented that the bright dog seemed to forget to pay his jeepney fare.